"As a Veterinarian Hospital manager I spent months searching for uncomplicated reliable backup software for our busy practice. 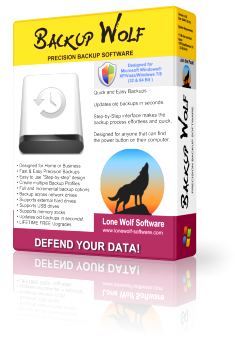 Backup Wolf met our hospital needs and gave me a peace of mind knowing our client files and data are safe. Our staff found the software very easy to use and the support promptly responded to our questions, allowing us to run a busy Animal Hospital more efficiently. We give Backup Wolf a "Clean bill of Health!" The BrotherSoft Review Staff gives one product an Editor's Pick Award because this product is easy to use, it has a professional-looking interface, and it is excellent compared to other programs in this category.